One of my favorite parts of full days at sea is the Seaday Brunch! That’s right, no need to get up early to catch the breakfast rush before heading off the ship, into port. 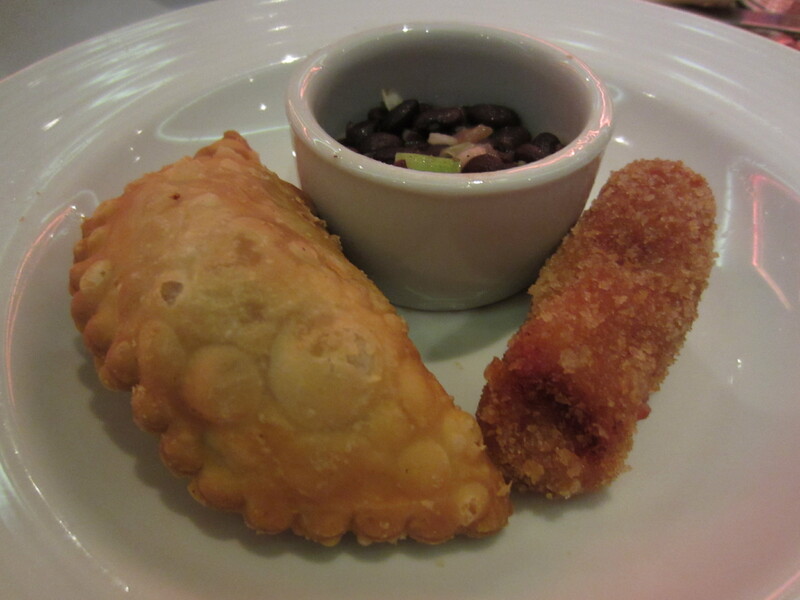 I get to sleep in late, then go to what I think is probably the best meal of the entire cruise… Seaday Brunch! 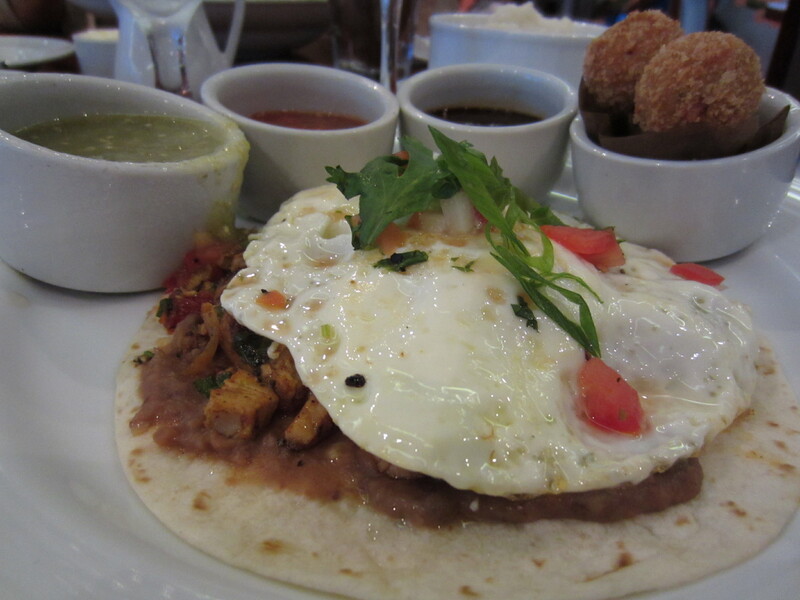 I started my morning off right, with some protein… Huevos Rancheros. Chicken quesadilla, topped with fried eggs, manchego cheese, and mucho más Mexican flavors and other words you wouldn’t understand. Description courtesy of the actual menu. Rating: Fine. The main portion was fine, but the salsa and mole — I think mole — weren’t too awesome. And I couldn’t really tell what those little fried balls were. Either way, they weren’t great and remained on my plate for the duration of the meal. Right around lunchtime, I went to a cooking demo that took place in the steakhouse aboard the Glory, where I got to sample some prepared foods while watching chefs in the kitchen do their thing. 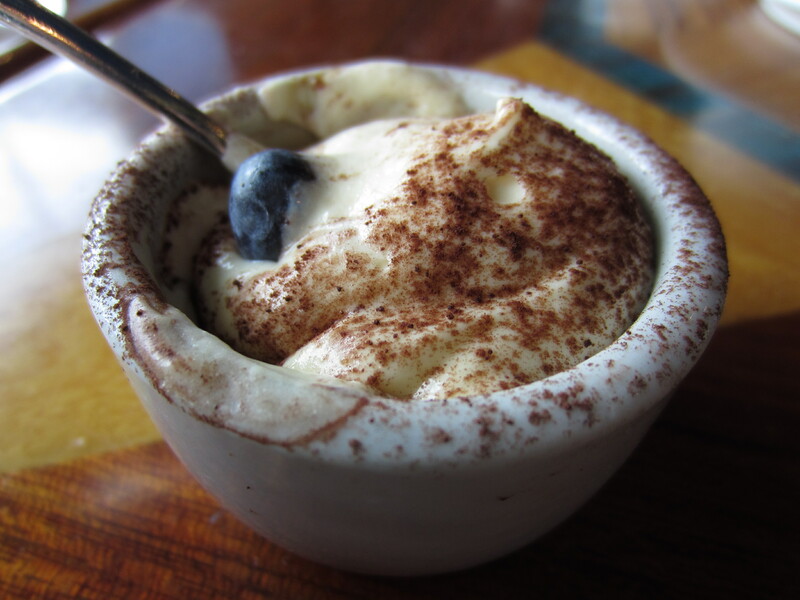 Mushroom cappuccino, baby leaf spinach and fresh mushrooms, boiled supreme of free range chicken, and tiramisu. My favorite was probably the dessert — though I’m not usually a dessert fanatic — since it tasted subtly rich, if you know what I mean… rich, but in a subtle way. Plus, it was quite photogenic. 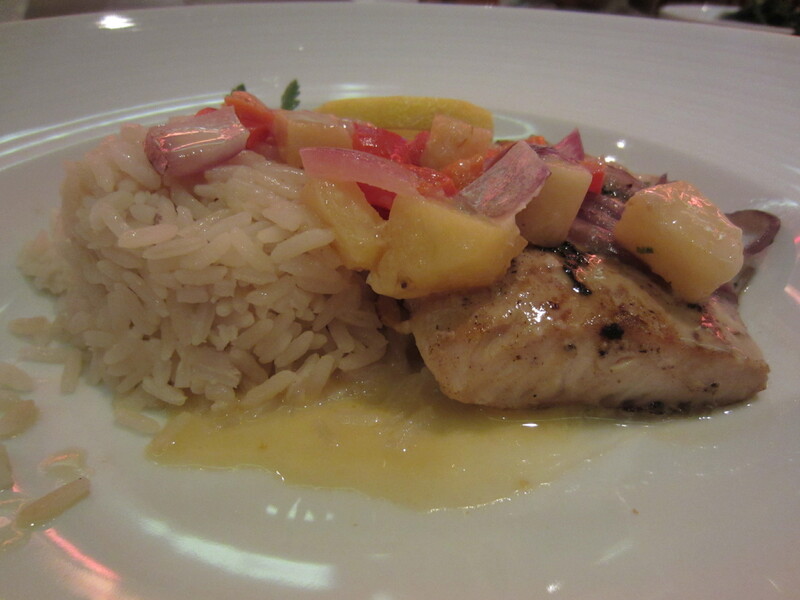 As promised, I will share more about my culinary adventures aboard the Carnival Glory last week. Can’t believe I just got off my cruise only a few days ago — seems like much longer! Each subsequent day, for the next seven days, I will post either what I had during brunch, lunch, or dinner — or a combination! — onboard the Glory. 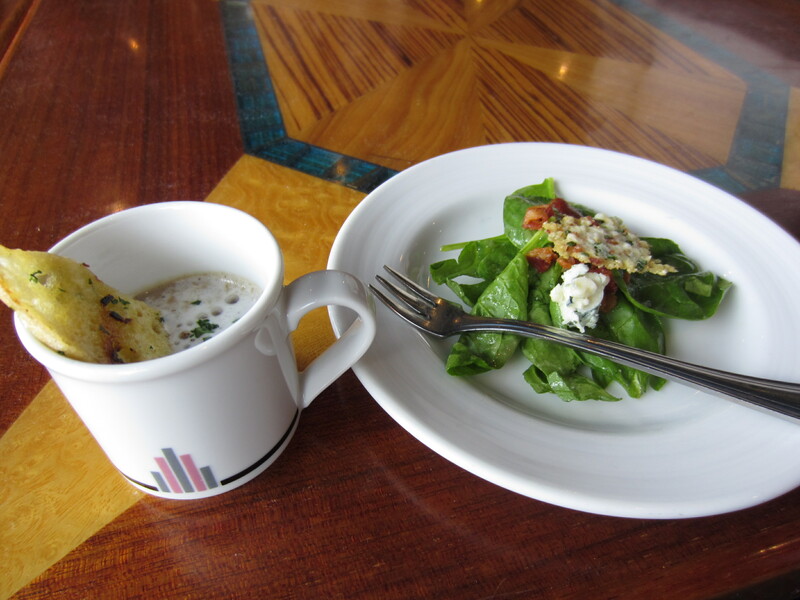 On this particular ship, I got to experience Seaday Brunch — best brunch ever! — and American Table and American Feast at dinner. 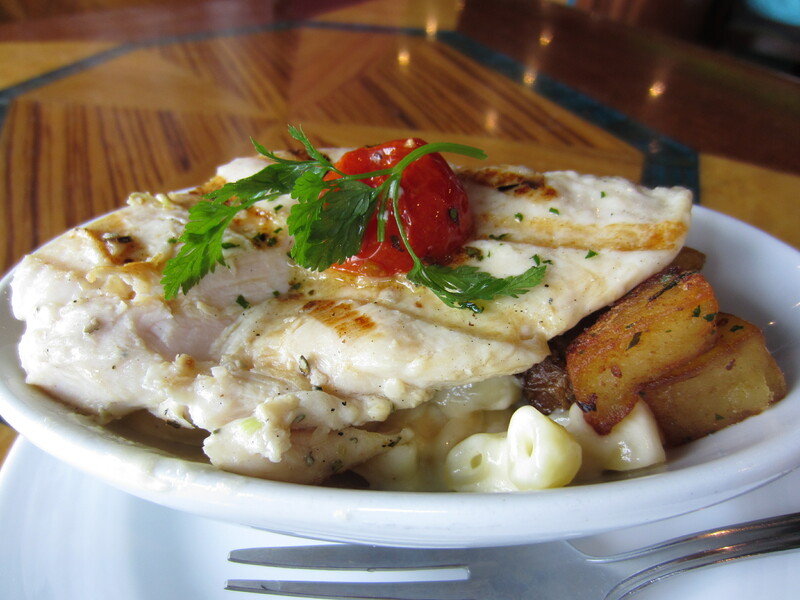 You can think of American Table as your standard dinner meal and American Feast as elegant night. I won’t do full reviews, just share some pictures, quick descriptions, and maybe a few thoughts. Enjoy! Rating: Okay. Standard fare, nothing special here. Rating: Okay. The fish was tasteless, though cooked well, and the rice tasted like coconut, but I’m not sure if I liked it.